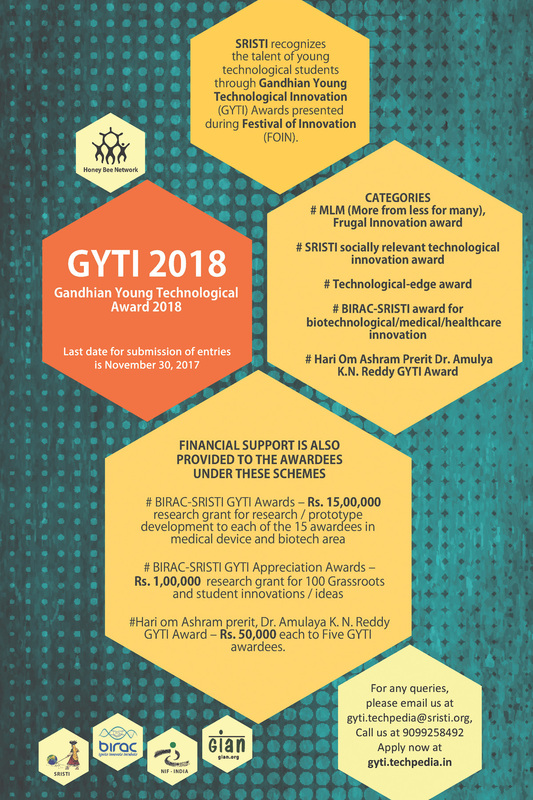 SRISTI celebrates the creativity and innovation of young technological students by recognising their outstanding projects with Gandhian Young Technological Innovation (GYTI) Awards. 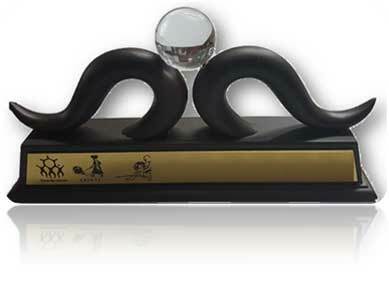 These awards are given every year during the Festival of Innovation (FOIN) at RashtrapatiBhavan in the month of March. This year, these awards were given on March 5, 2017 at FOIN. It is hoped that such recognition will enthuse young innovators to pursue even more outstanding research addressing unmet social needs and set up entrepreneurial ventures in consonance with Start-Up movement gaining strength currently in India. Hariom Ashram prerit, Dr. Amulaya K. N. Reddy GYTI Award – Rs 50,000 each to Five GYTI awardees. The awardees can choose to join the Bionest Incubator likely to be set up at SRISTI in collaboration with BIRAC and DBT, New Delhi. SRISTI plans to organize several summer/winter schools on inclusive innovations. Awardees can join those and develop innovative solutions to unmet social needs in a time bond manner. Any student project that has been completed during 2015-16 to 2017-18 is eligible for consideration of awards. The faculty members can encourage their students to submit the projects at following URL: www.gyti.techpedia.in or submit it themselves under the name of the students. We acknowledge that much of the good work students do is done under the guidance of their teachers/mentors. However, we aim to encourage creativity of students and thus request teachers to support them in the Honey Bee Network movement’s effort to promote young innovators by sharing the announcement with them. For any queries, please email us at gyti.techpedia@sristi.org , Call us at 9099258492 We look forward to your cooperation in making India innovative and spread the spirit of the Honey Bee Network.